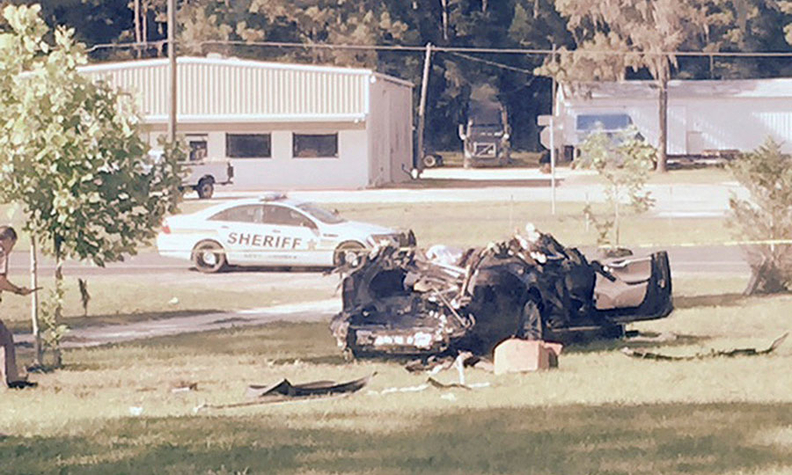 A Model S driver, Joshua Brown, was killed while using the Autopilot technology in a May 7 collision with a truck in Florida. WASHINGTON -- U.S. regulators said on Thursday they found no evidence of any defects in Tesla electric cars after investigating the death of a man whose Model S collided with a truck while he was using its Autopilot system, the first known fatality involving semi-autonomous driving software. The U.S. National Highway Traffic Safety Administration said in a report it will not seek a vehicle recall after conducting a six-month investigation. The crash drew enormous attention and raised questions about the safety of systems that can perform driving tasks for long stretches with little or no human intervention. Tesla Motors Inc. said in a written statement that "the safety of our customers comes first, and we appreciate the thoroughness of NHTSA's report and its conclusion." Joshua Brown, a 40-year-old former Navy SEAL from Ohio, was killed while using the technology in his Model S before a collision with a truck in Florida last May. Jack Landskroner, a lawyer for Brown's family, said the family plans to evaluate all of the information from government agencies investigating the crash "before making any decisions or taking any position on these matters." Tesla in September unveiled improvements to Autopilot, adding new limits on hands-off driving and other features that its CEO said likely would have prevented a fatality. The investigation was closely watched by automakers who are introducing semi-autonomous features and pursuing fully self-driving vehicles. Brown's death raised questions about whether regulators have the authority to oversee rapidly developing vehicle technologies. Videos posted by Tesla drivers on YouTube showed close calls on the road with Autopilot. In July, the U.S. National Transportation Safety Board, which is also probing the crash, said its preliminary findings showed Brown's Model S was traveling at 74 miles per hour in a 65-mph zone when it struck a semi-truck near Williston, Fla., in clear, dry weather. NHTSA said the investigation found that Brown did not apply the brakes and his last action was to set the cruise control at 74 mph, less than two minutes before the crash. The agency said he "should have been able to take some action before the crash, like braking, steering or attempting to avoid the vehicle. He took none of those actions." The agency said there have been no reported incidents in the U.S. involving a Tesla in Autopilot mode that resulted in fatalities or injuries since a Pennsylvania crash in July injured two people. Tesla introduced restrictions on Autopilot after concerns arose that the system lulled users into a false sense of security through its "hands-off" driving capability. The updated system temporarily prevents drivers from using the system if they do not respond to audible warnings to take back control of the car.